One of the things I could have never anticipated on this journey of under-standing and loving the natural texture of my hair are the life lessons I’m being awakened to. So much of life is intertwined, natural principles can help us grasp the things we can’t see or touch, like the emotional and spiritual. One of the lessons I learnt recently is to listen to the sound of my hair. The test is to take sections of my hair, apply pressure by gently rubbing it together, and just listen. Even though its appearance may not indicate it, if my hair is lacking moisture it produces a dry, louder-than-usual brittle sound, which, if left untreated will eventually cause damage to my hair. My aha moment? Listen carefully to my words, spoken and unspoken when I feel pressured. Listen not only to what I say but how I say it. As important, listen carefully to what the people in my life are saying and how it is being say. There is a lot of hurt that can be hidden beneath humor. A lot of anger can be stuffed in silence. Unappreciation and frustration are sometimes unleashed in sudden, unexpected outbursts… and if we are not listening, we can miss the signs that something is lacking in our lives or in the lives of the people we love. Growing in the here and now — that is , accepting the challenge and learning from the places, people and situations at the moment– suggests we listen and then discipline ourselves to take action when we hear that loud, brittle sound. So I applied a deep conditioner “Deep SOULutions” from Natural Girls Rock to my hair, slipped on a plastic cap, then for about 4 hours I allowed the conditioner to soften and restore moisture. I then fixed my hair in a protective style — twists, to minimize its exposure to daily wear and tear and help facilitate growth. If we endeavor to grow, our journey will provide us with an abundance of opportunities. I challenge you to take this simply hair lesson and apply it now to those brittle-sounding areas in your life. A matter of the heart – Are you fit to lead? How does one choose a leader? What would you look for if you were choosing your king? When the prophet was sent to anoint David, God said “…I’m not looking at the outward appearance, I’m looking at the heart. When it was time to make Saul king, he was afraid and was found hiding among the baggage. Before David was made king, with courage he challenged his troubles and was a lion, bear and giant slayer. The first indication of Saul as a worshipper was after he became king – he built an altar. Even as a shepherd, it was noted that the Lord was with David, and before his battle with Goliath, David boasted about the might of his God. Saul thought he could do God’s business his way, he did not keep God’s command, so his kingdom was taken from him and given to David. After Saul sinned, he denied it, shifted responsibility, justified his actions, and sought to be spared the embarrassment of sin’s consequences. When David sinned, though he tried to cover it up, when he was confronted by the prophet, in humility he repented. Though forgiven, David still had to endure the consequences of his actions. In challenging times, when leadership is needed, what if God could find, already about his business, men and women after His heart. The journey to hair – REthink beauty! There's a journey to appreciating the "different"
A black woman’s hair is very much like her nature — misunderstood by many — even her own. In its natural state, without knowledge of its nature, it may appear to be coarse and stubborn, hard and inflexibly, lacking beauty and dignity — Think again! 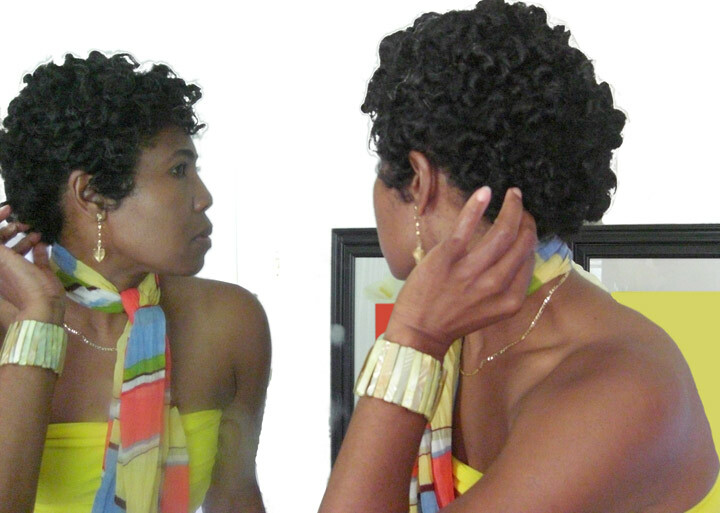 There is a journey to the love of natural hair – that space of enlightenment and appreciation. In the right hands, with the investment of time and care one will find that natural hair is not stubborn at all — but soft and yielding yet strong and enduring, with the ability to flex, bend, twist, change, adjust. It has a uniqueness and beauty all its own — it is distinct — yet it recognizes the beauty and uniqueness of all others even those unlike itself. Because it appreciates the beauty of variety, in wisdom it asks — what if every flower were a lily, every tree an oak, every fruit a mango, the only color red, the only texture curly… what if everyone looked like you… or me? Take the challenge and REthink beauty!